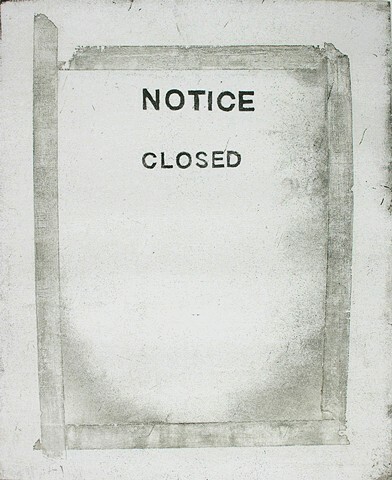 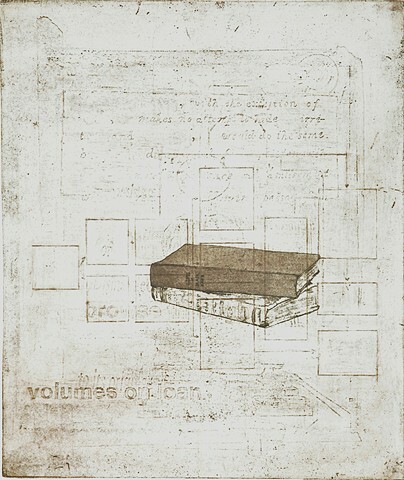 Completed during a Summer 2009 residency at Spudnik Press, Notice-Closed is a 21 print series of progressive etchings. 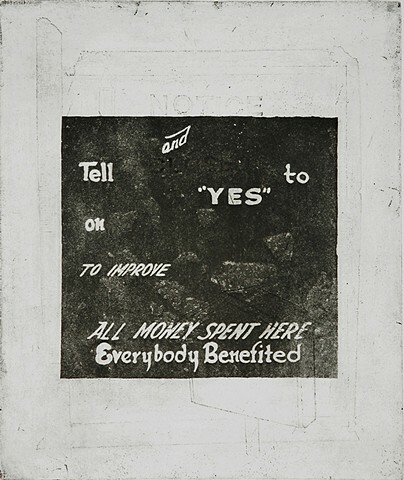 Each print was pulled from a single copper plate, the image and text were scrapped out in between each state of the series. 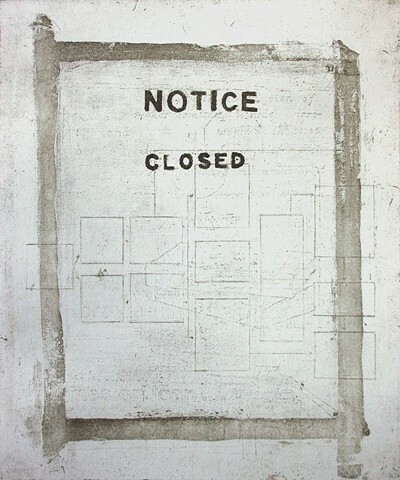 The work started as a response to the closing of historical sites throughout the state of Illinois by then embattled governor, Rod Blagojevich. 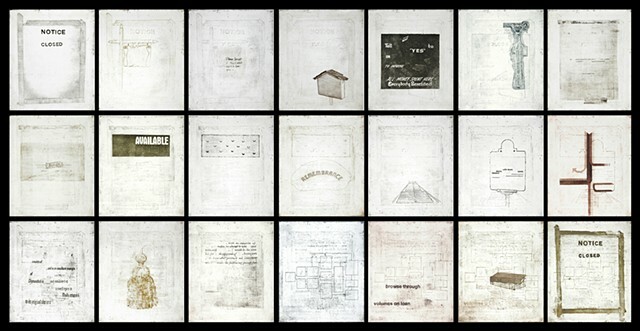 It grew into more of a commentary on the foreclosure crisis using historical references.